Meet the not so little cousin to our famous World's Largest Gummy Bear! 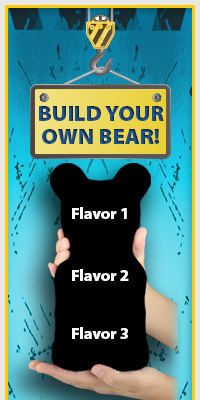 Weighing in at 2lbs with "beary" cool details, the Gummy Grizzly!™ is available in all 11 of our delicious flavors! The Gummy Grizzly!™ is approx 8 inches tall and 4 inches wide.